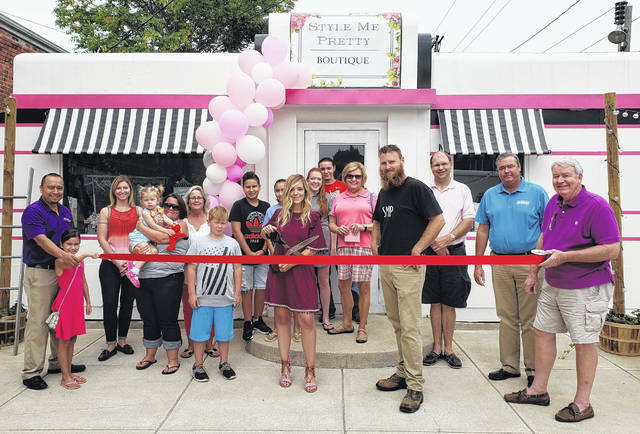 The News Journal Advertising staff congratulates Style Me Pretty Boutique, which celebrated their grand opening on Saturday, Aug. 25, with an open house and ribbon-cutting. Style Me Pretty has re-purposed the old “Little Giant Diner” at 123 N. South St. in Wilmington into a small clothing and home goods boutique. They also host parties on their patio in the evenings or weekends for small groups. They feature clothing, gifts, small home goods, and furniture pieces. Style Me Pretty is open on Tuesday-Friday from 10:30 a.m.-6 p.m. and Saturday from 10:30 a.m.-3 p.m. Follow them on Facebook to keep up-to-date with new inventory at facebook@stylemeprettyfashion.